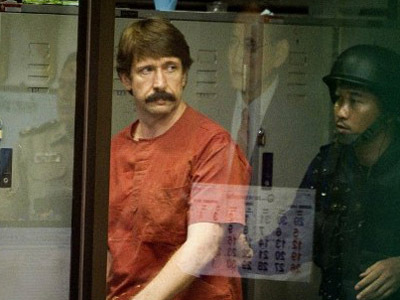 Russian businessman Viktor Bout, sentenced to 25 years in the US, has asked State Duma deputies to launch an appeal through the international courts over what happened to him in America and Thailand. “I would like to ask the State Duma deputies to make it so that Russia on my behalf files lawsuits against the USA and Thailand in the international courts,” Bout said by telephone during a TV-link between Moscow and New York City. The Russian businessman says he has no faith in the appeals proceedure. “This was not a court trial, this was inquisition,” Bout said. He also rejected the possibility of a deal with the US Justice Department. “There is nothing I could confess as I committed no crime, I am not going to enter any deals or make any confessions,” the businessman told the Moscow audience. But he added that “if Russia investigates what happened and makes a resolute and harsh statement on this I will return home very soon”. 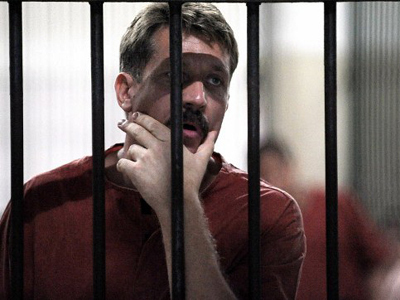 Bout refused to answer the question if he was satisfied with Russia’s previous efforts to free him and also if he considered other ways to free himself, such as an escape. Earlier this month A US judge sentenced Bout to 25 years behind bars, five years of supervised release, and fined $15 million. Bout was sentenced for conspiracy to acquire and export surface-to-air anti-aircraft missiles. 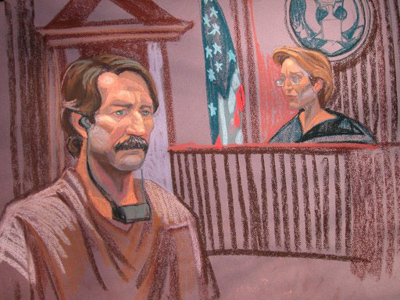 US prosecutors sought a life sentence for conspiracy to murder US citizens, but the judge found these charges unfounded. 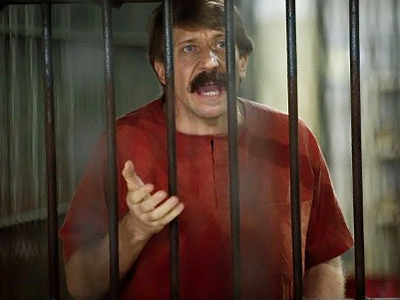 Bout was arrested in Thailand and handed over to the USA despite numerous objections from the defense and from the Russian Foreign Ministry that called the move a violation of the 1983 Convention on the Transfer of Sentenced Persons. The convict himself maintains he is innocent and all charges against him are far-fetched. Russia has repeatedly condemned Bout’s trial which, according to it was held not over a crime but over alleged criminal intent. The Russian Foreign Ministry issued a statement which blasted the US trial as politically motivated. Besides, media reports said that the Russian side had blacklisted the US officials involved in the trial.